If you have invoices outstanding you’ll want to produce statements for clients. 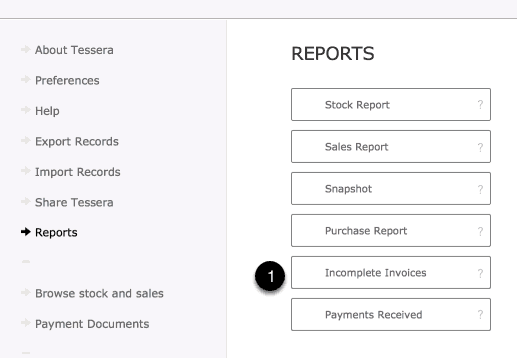 Access the Reports screen from the Tessera screen and use the Incomplete Invoices button. Print a list detailing all amounts currently outstanding. Leave this screen and return to the Invoice Component to view all unpaid invoices listed on screen. Access the Statements of Account screen where statements can be printed. Click on invoice button for more invoice details. Use Produce Statement to access this screen. Specify how statements will look once printed using Statement Preferences. Select a statement to print or copy to the Clipboard.